Access Profiles, Inc.: Find it Difficult Setting Prices in Your Small Business? You are Not Alone! Find it Difficult Setting Prices in Your Small Business? You are Not Alone! How Do You Set the Prices for Your Small Business? Still confused? So was I! What does “true value” really mean? In our experience, determining that was not so “simple and straight forward”. In the beginning, we were afraid of losing or scaring away potential clients by overpricing our services. We were also having a difficult time determining what a fair price really was . For us, it was much harder deciding on prices because we sold “services”. Services are not tangible and, therefore, much more subjective than products. You need to find a way to set a price on your services based on your expertise, knowledge, and time. The more you believe in what you are selling, the easier it becomes to charge what it is worth. The balance between Value and Price can be especially hard for women to achieve. Placing value in our own worth is sometimes difficult. Consequently, the prices we place on our services also suffer. But we can overcome this dilemma! First, it is essential that you believe in yourself. You know you are providing a quality service, so make no apologies. If you act with confidence, it will not be long before your clients believe in you too. 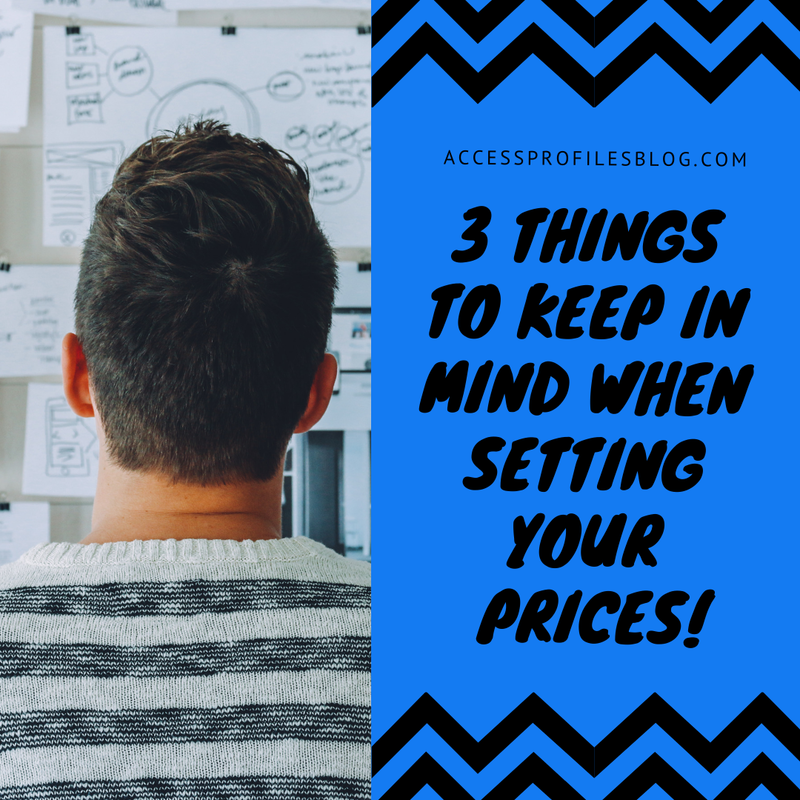 It is also important to consider these 3 things when setting prices on your Small Business Services. 3 Things to Keep in Mind When Setting Your Prices "Tweet This"
What Does it Cost You to Provide Your Service? Knowing what bills you need to cover, whether there are any out of pocket fees, and how long it takes you to complete your service is crucial. Each of these needs to be factored into your price. What are Your Clients Really Paying For? Think of what you provide that others in your market do not. What do you do better than them? Exceptional quality and true customer service are often more important than price. You can’t forget that your clients are paying for your expertise. It has taken you time to gather your knowledge and skills. It can be what sets you apart. That needs to be factored into your prices. Is What Your Competitors Charge Relevant? The truth is that it may not matter. Proving that you are offering more “bang for their buck” will eliminate the response “but I can get the same thing for _____”. Make sure what you are offering is not the “same thing”. Show how you are different, and you will make the sale regardless of your price. There is a perception that “you get what you pay for”. 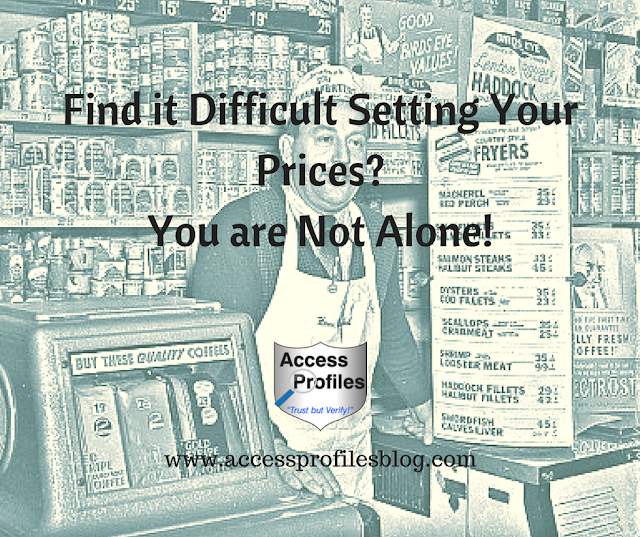 Don’t fall into the rut of setting or lowering your prices to the point that your perceived value plummets. It can be difficult to recover - and raising your prices afterwards can be hard to justify. In this economy, that can be a hard line to take. What we have done is a little different. Instead of lowering our prices during these hard times, we have held them steady. 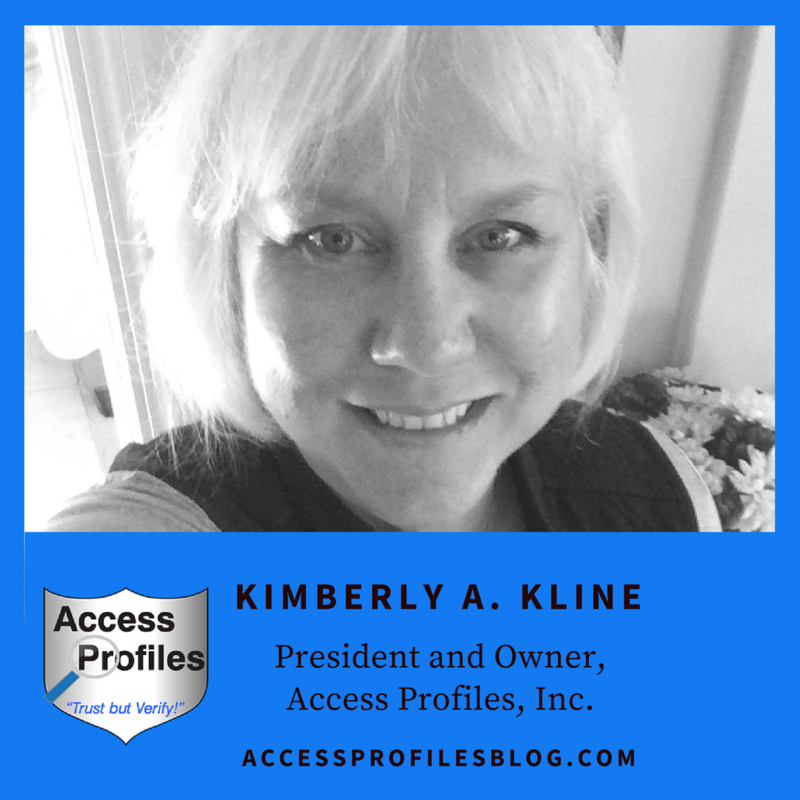 Our clients appreciate that we understand their own struggles to keep their businesses going. And they also realize that we are in the same boat. It has really helped us generate loyalty and the feeling that we are partners in each other’s success. Through it all, our focus stays on the Value of our Services. That value goes beyond what we charge. It is a culmination of our knowledge in our field and the way we treat our clients. that we offered Quality, it showed. We found ourselves recognized in our market and able to build a reputation on it. We know You can Do the Same! to Jump Start Your Business! 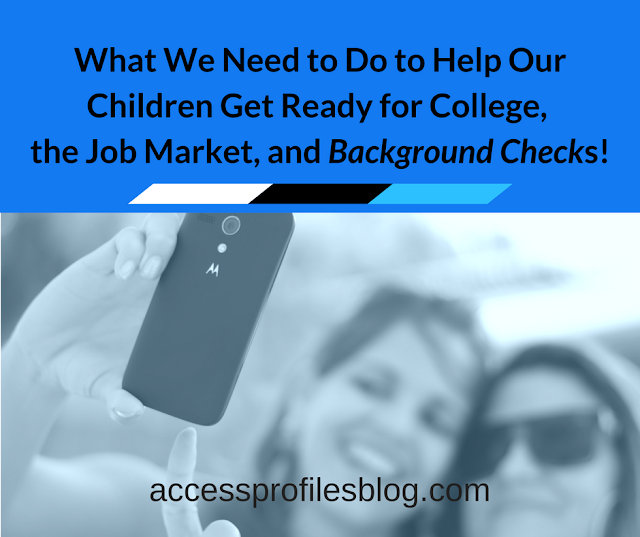 Whether you need help with your Employment Background Check Policies or Starting or RunningYour Business, API can Help! 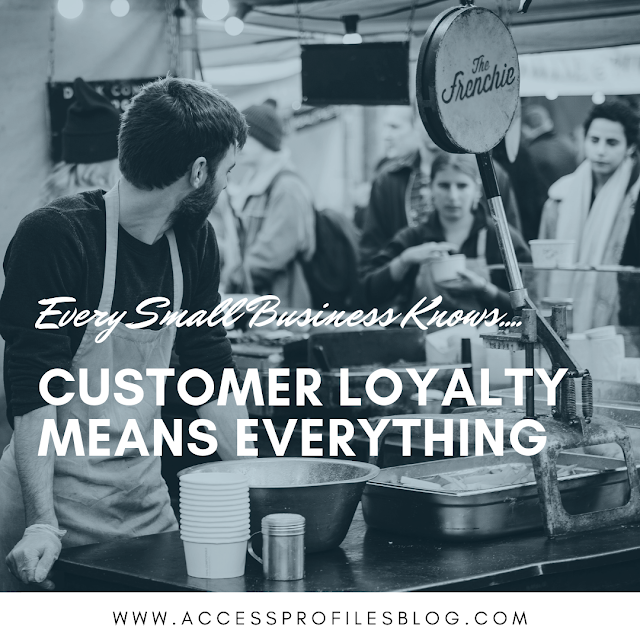 For more Small Business tips, please visit our blog and Subscribe. Thanks!